Home based Parties to buy Tupperware, totes and tasers? 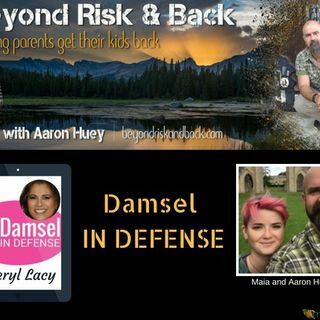 How a women's self defense party business has turned into a global resource for children and families to protect themselves and their loved ones. Hosts Maia Huey and Aaron Huey, founder of www.firemountainprograms.com, talk with Cheryl to discover the movement and the “why” for this unique business. Maia Huey is Aaron’s daughter, a senior in college receiving her Bachelors in Marketing, and is the founder of Sonder Marketing and ... See More Events LLC. Maia can be contacted at info@sondermarketingllc.com. Cheryl Lacy is a Certified Safety Instructor, Pearl Director at Damsel in Defense, Krav Maga student, Citizen's Police Academy Graduate, and Safety Workshop Facilitator. Her mission is to equip, empower and educate others to reduce their risk of becoming a victim of violence. She is active in her community and welcomes opportunities to volunteer at her local police department. As a Pearl Director, she is instrumental in training and writing education content regarding risk reduction and the Warrior Mindset. As a mother of 3 and grandmother of 6, she and her husband Jerry love to enjoy the beauty of Colorado with them in tow, hiking, biking, swimming, and playing. She loves her Flatirons church and the tremendous outreach that is available through them.